Fire Sprinkler Retrofit | Fire Sprinkler Maintenance | Morristown Automatic Sprinkler Co. If you’re looking for services ranging from fire sprinkler fabrication to overall maintenance – you’ve come to the right place. Morristown Sprinkler offers an assortment of services related to fire sprinkler systems, including the design, installation and retrofit of systems for residences and businesses in a bevy of industries. For clients with specific needs, we can install or retrofit special fire sprinkler systems, such as a special hazard or clean agent suppression system. 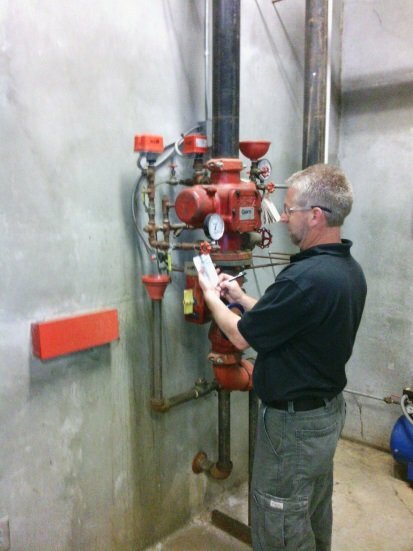 In addition, we monitor and inspect systems, and we can outfit them with backflow preventer devices. With our shop we are able to provide fire sprinkler fabrication for any type of job. We are located in Knoxville, TN, and we have served the area since 1975. If you would like to learn more about the services we offer, or if you would like to schedule an appointment, please contact us today.